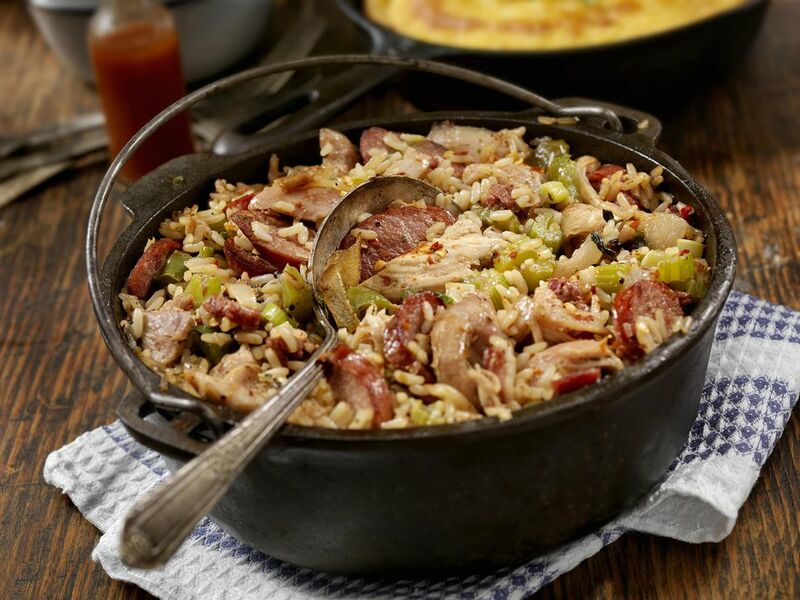 Cajun Cabbage Jambalaya is a hearty and inexpensive recipe that is spicy and full of flavor. Never heard of cabbage in jambalaya? No worries. It's a thing. Give it a try. It's one of the tastiest dishes you can enjoy in under an hour. In large pot, cook the pork sausage with onion and garlic until browned. Stir in green bell pepper and celery; cook and stir for 3 minutes longer. Cover, reduce heat to low, then cook, stirring occasionally, until rice is tender, about 40-50 minutes.